Nathalie, our guide, holds up a severely charred round of rye bread. “Does anyone know how Roquefort gets its green spots?” she quizzes the troop of tourists, shivering in the freezing cellar. They look a bit blankly at each other. “It molds,” someone volunteers. “Right,” responds Nathalie. “But we don’t just let it mold, we initiate the process, by adding Penicillium roqueforti spores to the cheese. We harvest the spores here.” She cracks open the black loaf to reveal a cavern of sea green mold. Gasps of both awe and curious repulsion escape the crowd. The mold is not an appetizing sight. 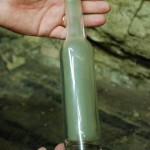 Deep in the cellars of the Papillon Roquefort company, the dankness hardly curbs the guide’s enthusiasm or the tourists’ curiosity. The tiny town of Roquefort-sur-Soulzon, with some 600 permanent inhabitants, draws visitors from around the world, who flock here to discover more about what many consider to be the king of cheeses, produced only in the certified Roquefort cellars lined up on a strip of land in the Aveyron only a mile and a quarter long and less than 330 yards wide. How did anyone discover that mixing bread mold with ewe’s milk would create a salty, butter-rich cheese? According to the legend, an ardent young shepherd, perched on the Combalou plateau, spied a beautiful shepherdess in the distance. Determined to woo her, he hastily left his flock, but not before placing his meal—ewe’s milk curds on rye bread—in a nearby cave, damp and cool. After days of hopeless searching the shepherd returned, dejected and famished, to his leftover lunch. It hardly looked like the appealing meal he had abandoned. Mold blanketed the bread. Deep green veins marbled the curds. The starving shepherd, hesitant but oh! so hungry, tasted the moldy cheese. “Mais c’est bon!” he may have cried as the punch surprised his palate. And thus Roquefort was born. 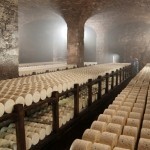 Today all true Roquefort is still created in chilly, damp caves owned by only seven cheese-making companies. Some, like Société, have grown into multimillion-dollar industries, while others, like Yves Combes and Carles, work with fewer than twenty employees. Of course each cellar guards its own secrets for producing its own special version. With over 700 varieties of Penicillium roqueforti in existence, the possibilities seem infinite. 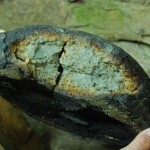 Papillon, the only producer to also bake and burn its own bread, produces a Roquefort with deep blue-green cavities. A lighter shade of green dots Roquefort Société, crafted with liquid Penicillium roqueforti. Some Roqueforts taste saltier, others feel fattier, but it’s all an illusion. The mold is what makes the cheese. It defines the texture, decides the pungency. 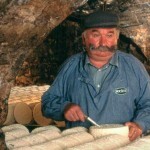 When combined with the unique environment of each cellar, the alchemy creates what one eminent French fromagère calls “the most marvelous cheese in the world”. Roquefort isn’t all mold, mind you. Be it Gabriel Coulet, Le Vieux Berger or Vernières Frères, they all start with the same liquid white gold of the Aveyron: sheep’s milk, but not just any sheep’s milk. 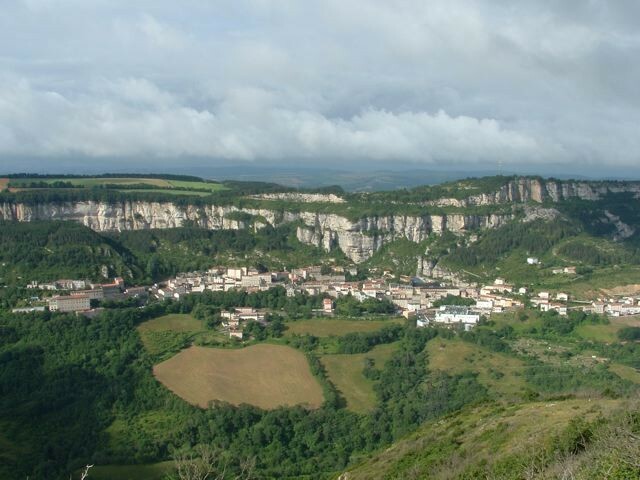 All over the Causse valleys, herds of sheep dot the fields. 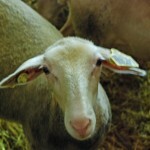 At La Martinerie, an organic sheep farm near Millau, Pierre introduces me to 800 wool-backed bleaters with horizontal ears and lively eyes flanking their narrow heads. “They’re all Lacaunes,” he explains with a lyrical southwest accent, “the only sheep used to make Roquefort.” They move along to be milked and Pierre snaps them onto the milking machines that collect the only milk considered noble enough to create Roquefort. Like yesteryear’s royal families, today’s Lacaune sheep result from decades of strategic marriages. During the mid-19th century, farmers began crossbreeding an earlier Lacaune race with other regional races. In 1902, the French government officially defined the characteristics of Lacaune ewes: they give perfumed full fat milk, resist brutal temperature changes, have no horns, and weigh between 154 to 220 pounds. Each sheep gives 16 gallons of milk per season—some thirty times less than the average cow—a rare milk for a rare cheese, indeed. Back at the cellars, visitors enjoy a dégustation at the end of each visit. Trays of Roquefort are set out, often ranging from the mildest—butter-cream smooth but still full flavored—to the strongest—salty, piquant, yet unmistakably fine. Sampling a bite-sized portion, one can’t help but imagine the young shepherd’s delight in his serendipitous discovery so long ago. And whatever happened to him? 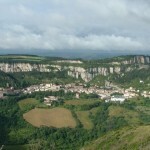 According to our guide, he finally found his shepherdess and together they made many little Roqueforts. Yves Combes Roquefort Le Vieux Berger, Avenue du Combalou, 05.65.59.91.48. On January 15, 2009 the American Secretary of Trade threatened Roquefort with a 300% tariff in retaliation for Europe’s refusal to import hormone-fed beef. Why Roquefort? “It’s symbolic. Roquefort is the only AOC raw milk cheese sold in America. With mustard, foie gras and shallots (previous victims of American tariffs), Roquefort simply says ‘France’,” points out Robert Glandière, vice-president of the Sheep Farmers’ and Roquefort Industrial Union.